The clients we work with express their appreciation all the time. You may be interested in what customers like yourself say about their experiences with Scott's Painting & Staining Inc.
"Incredible work on our interior. The kitchen and living room are beautiful!! Scott’s Painting & Staining Inc. has painted my house inside and out as well as my deck. They always do great work! Not only does my house look great but they are nice folks and super neat—with set-up and clean-up." "Excellent service! Everyone was so professional and friendly. They painted the interior of my home and it looks awesome. They also did a really good job of cleaning up after. I definitely would recommend their services." "Scott, I have been raking up some leaves and again noticed the work you have done on our home. The work and paint on the job were excellent. It made a great difference in our home appearance. I just wanted to take this opportunity to thank you and your men for a job well done. Thanks Again." "The guys did a great job today! They went out of their way to make sure everything looked fantastic!" "The guys were the best!" "Thank you for the great job your crew did painting our home. It looks so refreshed. Your team was wonderful to work with, polite, prompt, and hardworking! Thanks again." "A special thanks to the crew for the work that was done. The foreman was also very professional in doing some extra work that I had previously not requested. I am sure this was not done without Scott's approval. Overall, they did an outstanding job and I would be willing be used as a reference. Possibly a sign in our yard. Thanks, Scott, for everything." "We are very satisfied with the exterior painting of our home which included extensive siding repair. Scott's Painting provided a very fair estimate for an excellent final outcome. The crew was professional, courteous and responsive to our questions and concerns. We're extremely happy with how the project looks and in working with Scott's Painting and Staining, Inc."
"Of all of the work I have ever had done on my house this was the best job. I would highly recommend." "The crew did a great job." "The crew did a fantastic Job! I appreciate their kindness and attention to doing a great job! Always friendly! Thanks so much for everything!" "Everyone was very courteous and they did a great job, being very detailed with everything." "Scott's team did a great job! We are beyond happy with their work and customer service!" "Fine job, the crew was very knowledgeable and a pleasure to work with!" "Appreciate the hard work and thoroughness of the jobs done. The guys were respectful and courteous, checking in each day to make sure we were happy with the progress and completion of our projects." "Scott's crew did a wonderful job! Excellent job power washing the house and deck. They caulked the _ _ _ _ out of our house! They were very careful working around our landscaping and landscape lighting. Nothing was damaged. Stain on the deck looks great! I would definitely recommend and use Scott's Painting & Staining Inc. again. And they were nice and courteous too!" "Great work handled in a timely manner!!! The employee I met with prior to power washing the house was friendly, polite, thorough, and professional. In addition, all of my emails were responded to in a timely manner and it was the best cost out of five companies in the Omaha area!" "Scott's team was very nice, showed up when promised and did a great quality job. We will happily recommend Scott's Painting to others." "It looks like a new house! Thank you so much for all of your hard work and attention to detail!" "Scott's Painting was the absolute right choice for us. They did a fantastic job with our house. They replaced some rotten siding, trim and did a fantastic job painting our entire house. The workers were very pleasant, sociable and accommodating to our schedule; not something you see very often nowadays. I usually don't recommend contractors very often as mediocrity seems to be the new standard. However, I DO recommend Scott's Painting for Painting & Siding Repair and will use them exclusively in the future." "We were very satisfied with Scott and his crew from the beginning to the end. He gave us an estimate within a couple days and scheduled the job to accommodate us. The crew was very polite and conscientious. I would definitely recommend to family and friends." "Will definitely call you when ready to have the basement painted. I would recommend you to anyone." "So appreciated the professional service provided by the crew. Thorough work and clear communication throughout the whole process! Left my yard and area clean when the job was completed. I would definitely recommend you to anyone! Great work guys!" "Scott's Painting started the job on time and finished before the estimated time, with the crew working to maximize the daylight hours. My house looks better than new. They put siliconized acrylic latex caulking on all the nail pops and cracks, paid extra attention to all details to complete a perfect project, and cleaned up as if they weren't there when finished. I will use Scott's Painting for all my painting needs! The job absolutely exceeded my expectations!" "The crew was fantastic. Very happy with the quality of the work and the speed in which they completed the project." "Awesome work! Workers who take pride in what they do." "We are very happy with the work done. We will call you again in the future." "Big Thank you to the crew, they did a nice job!" "Thanks Scott! Your guys were great & do awesome work!" "Thank you for your continued help throughout this process. I'm very pleased with the professionalism and result!" "Scott's Painting is great to work with. I will never hire anyone except them." "Excellent job! Workers were professional, and friendly. I am very happy with the results." "Scott's crew was outstanding to work with. They were courteous, friendly and I can tell they take great pride in their work. The house looks brand new now! If you'd like pictures, we'll be getting the lawn mowed today/tomorrow so it all looks nice. I'm a photographer and will be snapping some pictures myself and would be happy to send some to you. Just let me know." "Scott's team did an excellent job. We are very pleased! Thanks a lot!!!" "Absolutely great job! I was impressed by the attention to the details." "Workers were on time, kind and got the job done and I will be happy to use your service again." "I just wanted to say your team did a great job on the house. We are very pleased with how it turned out. A lot of our neighbors were very impressed as well so hopefully you can get some business in the area. They did a nice job paying attention to the details and made sure we were pleased. You did a great job!" "Very courteous and professional. They did a really nice job preparing and painting the walls. Very Satisfied!" "The team did a great job. I will definitely look to Scott's Painting for future projects. Thanks guys!" "The workers were very friendly and did not try to rush the job. Very good craftsmen." "Scott's Painting is very good on presenting options that may work better than initial plans which also may be more economical. This the second time we have used your team and they do good work! Our neighbors are downsizing and believe they may need deck work. If they need someone, I will recommend you." "I'm extremely pleased with the finished product. The guys were awesome! On the initial visit they explained what needed to be done. They executed beautifully. It was a pleasure to work with them. They are truly kind, sincere and hard working. Will refer others to your business." "Scott's crew was exceptional. Flexible as I needed to change one week for another. Punctual, and would call if just a few minutes later than expected. Very easy to work with. Took pride in the finished product. Very happy with the job done!" "The crew was great! Extremely courteous and friendly. My kids were curious about what they were doing. They were showing them what all they were doing and kept them entertained while we were getting ready for our morning routine. My wife commented on how nice of guys they were." "The deck staining exceeded my expectations! Scott was quick to respond, got the job done ahead of schedule at a fair price. Will be calling Scotts Painting for any other jobs we may have. Excellent company!!" "Your team did a great job. We will be calling you when it's time to paint the entire house again." "The pergola looks so much better. It was a tedious job, and the weather was hot, but we are happy with the end result. Thank you!" "The job was run well with great workers. I have recommended you to the Homeowner's Association to paint all the town homes next year. Thank you so much!" "Thanks for coming through when were in a pickle trying to find someone to do this in a tight window. You were the only company to call me back right away and provide an estimate. I always recommend your company on the Nextdoor App when neighbors inquire about painters both in and out." "Thanks for a beautiful job on my house. It has never looked so good! You have a great team at Scott’s Painting! It was a very professional job from start to finish. My home has never looked this beautiful!" "Scott's crew were absolutely fantastic! They did an excellent job and we will recommend your business to anyone who asks." "Scott's Painting was wonderful to work with and if I had any concerns or questions Scott got right back to me and addressed the situation. I Love the new Paint and have already recommended Scott's Painting to a neighbor that was looking for some paint/siding work on the NextDoor neighborhood App." "The guys were great. Very conscientious." "Mike was an excellent painter. I am very impressed with his work and professionalism. I would 100% use your company for any future painting needs. We just used several different companies for our renovation (wood floor laid, backsplash changed) and your company was by far the best to work with! We had the majority of our house repainted by Scott's Painting. They were very professional, punctual, efficient, and most importantly they did an EXCELLENT job. They completed the entire job in 2 days. I have had other painters in previous homes that were much more expensive and not nearly the quality of Scott's Painting. I would highly recommend them and plan to use them again in the future." "Overall job quality 5/5. We would like to have Scott's Painting back out to have some interior work done replacing some doors and to repair & repaint our walls." "Outstanding work. I will use you again." "House looks great, everything was quickly addressed - Thanks!" "Thanks for doing a very good job on the house. I stopped by tonight and was very impressed with the level of detail that was done!" "Staff was exceptional, went above and beyond." "Scott's team did a great job of fixing trim and repainting the affected areas. I am very satisfied with the work that was done, and appreciate the communication you gave throughout the project. Thanks again." "hey are great to work with. We will be lifelong customers. We have hired them again to re-do our deck." "I just want to tell you how impressed my husband and I are with the crew's positive, "can-do" attitude. The crew is doing a wonderful job on our house. I am so glad that I found you listed on Angie's List. I had probably 6 other contractors out to bid - glad we chose your company." "We were very satisfied with the job. This involved staining two new windows. The worker was very professional and the windows look good. I would definitely recommend them!" "The finished product was wonderful. The house is beautiful and we couldn't be happier!" "Thank you to you and your staff for their diligence and hard work. The finished product looks outstanding and I can't wait to have my new door installed!" "The new paint colors literally changed the look of the house. Really love it! The workers were very helpful and courteous and the clean-up was very good." "Your crew, most particularly Mike, did a great job. He went out of his way to let us know that the Home Depot product was inferior and recommended a better product, even though he knew he was going to have a hard time returning the Home Depot stuff. I think that's unusual and extraordinary customer service. Be assured we will contact your firm when we need more painting, and I'll recommend you to all of the folks at my firm. If you were not able to return and get your money back for the Home Depot product, you should not have to eat that; that's my fault and I should pay for it. If that's the case, please send me a revised invoice. Thanks again and please give Mike my regards." "They did a fabulous job. They came pretty quickly after me buying the deal. They were on time. They came with their own equipment. They were clean. They were exact on their cleaning. I tipped them and said get yourselves some lunch." "VERY Professional. Completed work on time, very reasonably priced. Will use them again." "The crew is great! Hard-working, dependable, high quality work, easy to work with. I will have more projects for them in the future!" "The finished project was above and beyond my expectations. Quick, perfectionist, friendly, clean and exceptionally well done." "Thank you. Your crew did a great job!" "Your crew did a very good job. Very happy with the results." "Replaced garage header, replaced entire siding on one side of house. Replaced all rotted fascia and trim boards. Skirted bottom of siding on house. Entire house painted and trimmed. The exterior of my house was pretty much redone after 35 years of wear and tear. The crew foreman came out and went over all the carpentry areas, siding and painting that was needed. I had a work proposal within a few days and the owner Scott called to go over it with me and get me on their schedule as soon as possible. Also, worked with me to get the cost within my budget. I was not interested in vinyl siding due to cost and did not just want to cover up blemishes without repairing them. That is one of the reasons I chose Scott's Painting as they are willing to repair hard board siding. They did a complete siding replacement on one side of my house that was all rotted due to water damage. Also, had roof leak above garage header that had rotted out over time and needed to be torn out. In addition to water damage, carpenter ants had made 3 huge nests in the areas. When they found these live nests, they had an exterminator out here right away. All rotted fascia board, house corners, and trim board were replaced around the entire house. They skirted the bottom of my siding with cedar board and it turned out really nice. They had unforeseen work to build bracing behind my siding and worked in my attic to get it done right. The painting work was superb! I cannot believe what a wonderful job the crew did with getting the house ready to paint. They caulked every single area they could find. Even caulking areas that were never done during original building. They removed all nail holes and smoothed out rough areas. The actual paint job is really beautiful. The painters took a lot of time with me going over the trim work to make it look the best. I have already had many complements on the paint work and how awesome it looks. They paid a lot of attention to details that really made a lot of difference. Painting my shed, front door, light fixture and more. This is a very professional group of contractors. Thanks to a very pleasant crew really caring about their work. I am and will be using them in the future." "Scott's Painting Replaced water-damaged siding and plywood under the siding, repaired rotten window sills, caulked and painted entire house, stabilized deck stairs, stabilized loose wood fence posts, power-washed and stained fence. Very nice English-speaking crew to work with. Intent upon delivering high quality finished product. Cleaned up daily during 3-week project. We were very satisfied. The crew was very good to work with and the quality of work was important to them." "Wanted to let you know your crew did a fantastic job! We couldn't be more pleased; it looks like a new house! The playset looks awesome too!" "Had some siding and sheathing replaced today below a deck. The guys not only had outstanding carpentry skills, they also had great personalities which is a rare combination in today's workforce. I wouldn't hesitate to call them again!" "Great Crew!!! Excellent job quality." "I thought that we were going to have to replace all the siding as it was rotting at the very bottom. The estimator suggested that an optional vanity board could be installed. I was thrilled that it took care of the problem at a reasonable cost which I really appreciated!" "The crew was very friendly and professional. Everything looked great!" "Always professional and thorough. Job quality 5/5." "Thanks for the great work and going above and beyond for us. It looks great!" "The house looks great! We have already referred you to friends and neighbors." "he finished project exceeded my expectations. I was impressed by the quality of the work that was done. The two gentlemen who did the work were very courteous and respectful of our property. They did a fantastic job, and I would recommend your company to anyone who needs similar work done. By far the best experience I've ever had with a contractor. Thank you!" "Really pleased with the job. Very professional. We'll recommend you to all of our friends in the area! Pass my thanks along to the crew for the great job." "Everyone was very professional & helpful too! We love the look of our home! Absolutely thrilled with the results!" "Your crew did a fantastic job on our house - Thank you! Scott & crew especially. We will be sure to pass along your name and contact information to all our family/friends. Also, we'll have you back this fall to replace the garage door." "Work was done on time and on budget. Finished house looks great!" "The job turned out awesome! Your guys did and awesome and did a great job! Luke was very nice and did wonderful." "Your people were especially courteous and explained everything in detail. Scott's Painting is thorough, professional and knows the trade. Love Judy! (receptionist) She's great at getting back to me. Wonderful phone voice, very friendly." "Your crew were great to work with answering my questions. They kept us up to date with delays due to weather changes. Matched the paint perfectly and gave great advise on things we weren't sure of." "Absolutely loved the finished project. Looking forward to getting the rest of the deck refinished once the new wood dries out." "Everything was done on time and to my expectations. You did a great job of keeping me up to date on the progress on the job. The wood rot repair was excellent and Scott worked to address problems to prevent future wood rot." "Very nice job - looks great and completed ahead of schedule!" "We really appreciate your work and will always continue to use your services. Thanks so much!" "The house looks beautiful - should have painted it years ago! The house sold within a few weeks after it was painted. Thank you all!" "We really appreciated the pick of the quality Sherwin Williams paint. From start to finish the workers arrived on time, did a great job, and even completed the project one day prior to the original completion date. My husband and I met you at the Spring Omaha Home Show at the Qwest Center; liked you so much we made the first call for an estimate. You did a great job of overseeing the project, picking out great colors and all the painters did a very professional job. It was a pleasure doing business with you. Thanks!" "Very nice job, thanks for everything. Please send us an estimate for painting the exterior." "I have recommended your company to my neighbors, who are good friends of mine. They have a nice home and are meticulous." "I will recommend you and pass your cards out." "Great communication, appreciated the paint crew working around (the other contractors) working on the deck. Already set up to have you back to do some inside work!" "We are very satisfied with the job. The house looks very nice. We get lots of compliments!" "The job actually exceeded our expectations. The house looks Great!" "I will call you again on another house I own!" "Did a great job - the final color looks great. The guys were very professional and courteous. Price was competitive and the work exceeded our expectations - excellent job! The paint crew worked hard, did quality work, and were respectful in responding to my questions. We highly recommend Scott's Painting & Staining Inc."
"Overall, we love the work! Thank you!" "Our house looks brand new again! All work completed with high quality and attention to detail. You communicated prior to the job and during the project." "We are so happy we found you. Thanks for all your hard work. I'll keep your number!" "We are very pleased with the finished project and thanks for doing the extra work with the siding that wasn't planned. Your folks were very nice and courteous and explained many things. Also, thanks for the phone calls to let us know about daily progress." "Hard workers - good job." "Good job and very clean and precise - no drips, runs etc." "This is the second time Scott has painted our house and both times we have been very satisfied." "The house looks great! Thank you!" "Every worker on this job took pride in his work - and it showed in the results. Everyone was courteous, friendly and trustworthy." "My home looks great! Like NEW. Thank you very much for coming so quick and doing a great job. You have great guys and they are very understanding of our needs." "I am extremely pleased with how it all turned out. It looks like a new house!" "Scott's Painting can always be counted on to do an excellent and timely job. We have used Scott on several occasions. He has painted our house several times. We have gladly recommended Scott's Painting & Staining Inc. to our friends and neighbors." "Good work! Looks GREAT. Good curb appeal. All were courteous, friendly and did a great job cleaning up at the end of each day. I would recommend your work." "I will continue to use your company for painting." "I was most impressed with the siding replacement and caulking." "Fine work - very pleased!" "Thank you Scott for being very concerned when I talked to you about keeping paint off the new patio, and for making sure that everything be covered the following day. Thank you, we will be calling you again!" "Your guys and gals did a wonderful job painting our downstairs this last spring and got it done to look nice before our graduation party. Thanks again"
"Thank you for working us in so quickly! It was GREATLY appreciated. 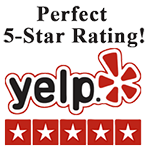 We will use your services again along with referring others!" "All the work was completed on time & the end result totally met our expectations." "Scott was very good. He did a great job of explaining things and is very patient. I received daily email updates which was great. When he found problems, he worked out solutions rather than just painting over them." "Very professional and skilled craftsmanship on the exterior carpentry repairs." "Great job... on the siding replacement and house painting. On time, everything done & completed when they said. Very great company to do business with. I will use them again." "The work performed was excellent. We've already given your name out to a few potential customers for you!" "Scott's Painting did a superior job...staining much of our interior woodwork and then applying a coat of polyurethane"
"We were very pleased. They were here on time to give the estimate and were very helpful with the colors. The painting crew was prompt and they did a great job!" "We have had a lot of compliments on how good the house looks and we would recommend your company to anyone!" "Scott was particularly enjoyable to work with...the rest of the crew were also very pleasant to be around and hard workers. They did a great job!" "The finished project certainly met our expectations. I will use this company again and recommend to others." "Everyone was very professional, courteous and careful of our property. I would definitely call for future projects!" "Love the paint you recommended. Very pleased with the work, speed and follow up!" "The work was excellent. I am very pleased and will refer you to all my friends"
"We weren’t aware of additional siding that needed to be replaced until after the (original) work was done.” (Scott's Painting & Staining Inc. returned to repair and replace the remaining damaged siding.)" "We are very pleased with the final product." "Our house looks terrific. The crew did a neat and careful job and really seemed to care that we were satisfied. We recommend you to everyone." "Very well done. Scott's Painting took their time and did it right! Call us... to do the inside." "Finally a contracting company that delivers!" "The job was completed as promised and we are very pleased with the service and the results. Scott’s advice on the color selection that best matched the brick was very helpful! You can use our house as an example. Thanks for a job well done!" "I thought they (the painting crew) did a great job!" "Your men were very polite and helpful. They also did a great clean-up job." "We love the color! Thanks for returning back to the house for touchups!"